Every year I am shocked by my students' underdeveloped vocabulary. They struggle with reading comprehension because of their limited understanding of words. Their writing can be very drab because of their limited word choice. And when it comes time for standardized testing- they often struggle with even understanding what is being asked of them because of the tier two words that can be found in the questions. 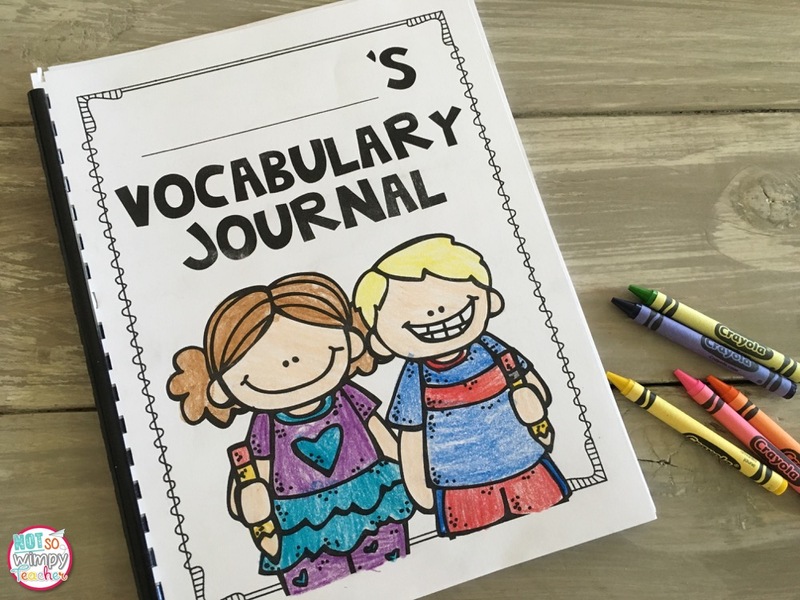 I have always known that I needed to make my vocabulary instruction more meaningful, but I struggled with how to teach it and when to squeeze it into an already packed schedule. 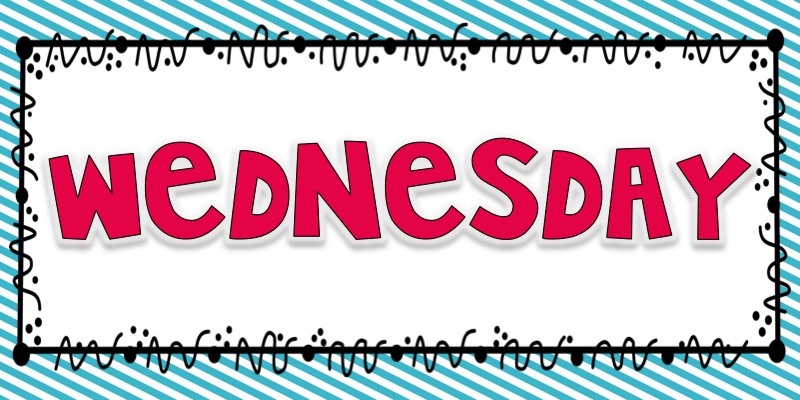 Early in my teaching, I would assign the five words from the weekly anthology story. I would tell them what they meant on Monday and then give them a multiple choice test on Friday. The kids passed the tests, but never truly learned the words. Also, the words from the basal rarely ever appeared in other literature that we were reading. It was terrible, but it was the only resource that the curriculum provided. 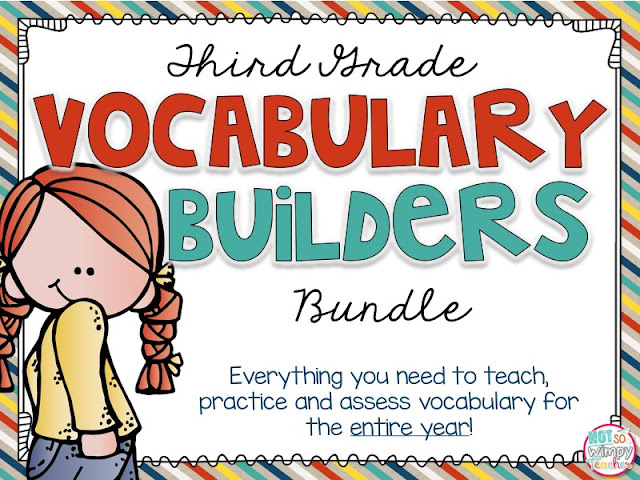 I knew that if I was going to make vocabulary meaningful for my students- I was going to have to start from scratch with my own words, lessons, activities and assessments. 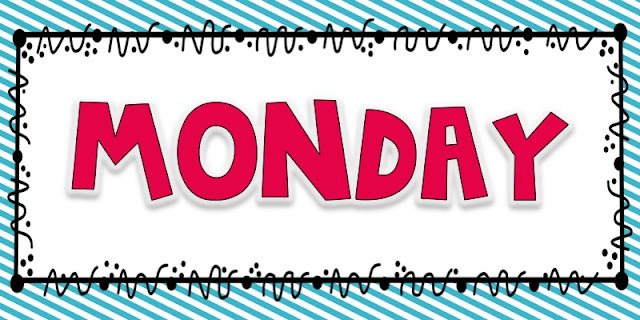 On Mondays I introduce five new words for the week. I have chosen tier 2 words that third graders are most likely to see in literature. I do teach tier 3 (math and science words), but I usually teach those during units of study in those particular subjects. 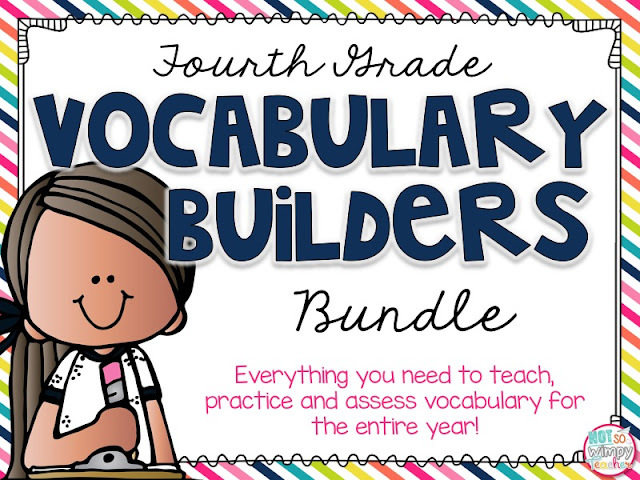 Our vocabulary time is dedicated solely to words that will increase my students' reading comprehension, writing and language skills. I introduce words one of two different ways. I give the students a sentence with the word in the sentence. I ask students to use context clues to determine possible meanings. After getting some student responses, I write the correct definition on the board and discuss the clues in the sentence that would help you to determine that meaning. This helps my students to practice context clues and inference. Sometimes I give the the students the definition and part of speech and then ask students to try and use the word in a sentence. This helps my students to practice using the proper tenses, meanings and sentence writing. Students record the definition and a sentence for each word in their vocabulary journal. I keep our words posted on the class focus board all week. It is not enough to just talk about the words on Monday. On Tuesday we spend another 10 minutes on our words. As a class, we come up with two synonyms and two antonyms (or non-examples) for each of our words. This process has really helped my students to expand their vocabulary and understand multiple meaning words. The examples and non-examples help to make the new vocabulary words more concrete for my students. I also like to throw in some unique or fancy antonyms and synonyms from time to time. 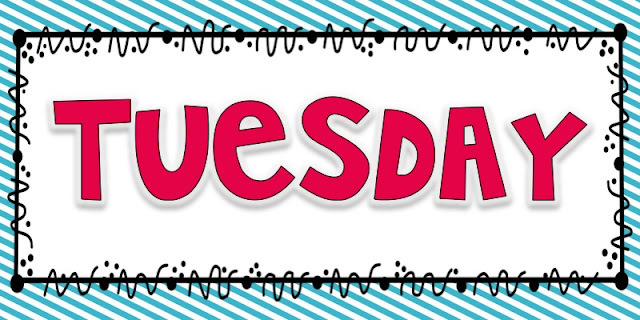 Tuesday is really all about talking about words and why they are or are not good examples. We have conversations about parts of speech and verb tenses. 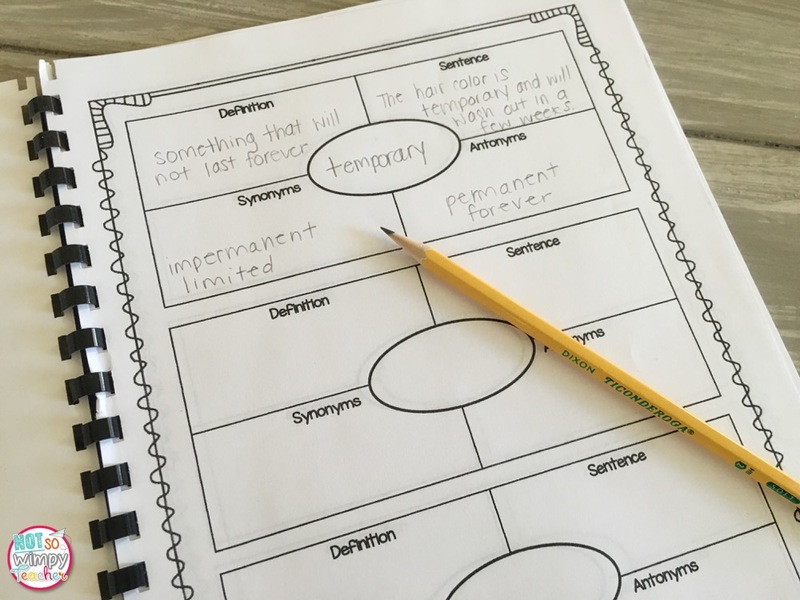 Students start to see that the best synonyms are the same part of speech and tense as the original word. Sometimes the kids will start debating a bit about which synonym or antonym we should choose to record. Since I have taught them to be respectful, these debates really just deepen their word understanding. It is magical! On Wednesdays, we actually take a break from the discussion of our weekly words. Students need to practice using word parts to determine the meanings of new words. Each Wednesday, I give my students a "wow word." It is just a word that has either a prefix or a suffix. We will break the word apart and identify the root and the affix. We will define the root and the affix and we will brainstorm other words with the same root and/or affix. Students have aha moments when they realize how affixes change the meaning of a word! We are still actively talking about vocabulary, but we are also hitting the reading and language standards associated with prefixes and suffixes. This whole activity takes 5-10 minutes! The human mind is so very visual. When I was in college I learned the art of color coding my class notes. If I made each category a different color- I could recall the information easier. 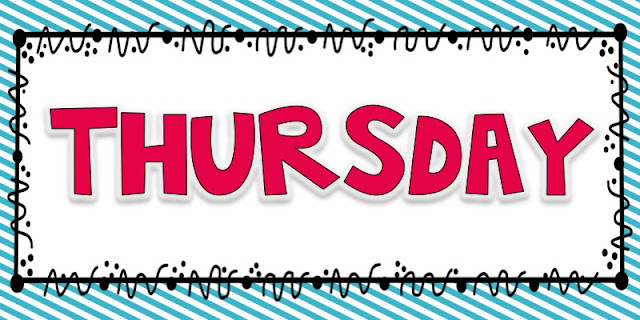 I use this same sort of idea on Thursday. By this time, my students understand the meaning of the five new words for the week, but I want to help make it memorable. I don't want them to just be words that they learn for the week and then forget. 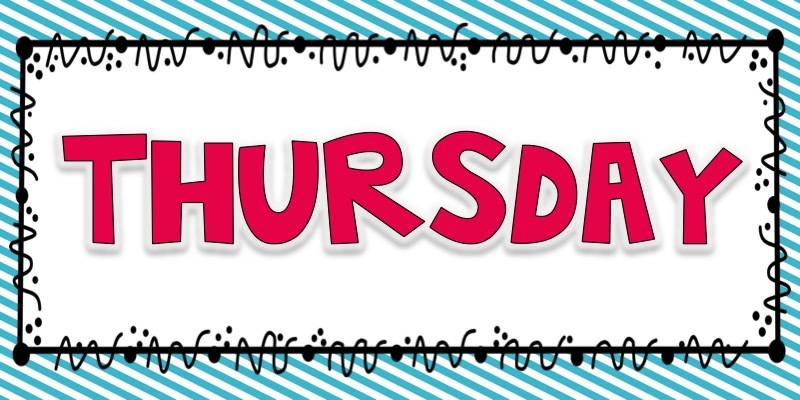 On Thursday I give students time to draw a small and simple representation for each of their words. The drawings must somehow show the meaning of the word. For example, when the word was gallop- one of my students drew a horse running. 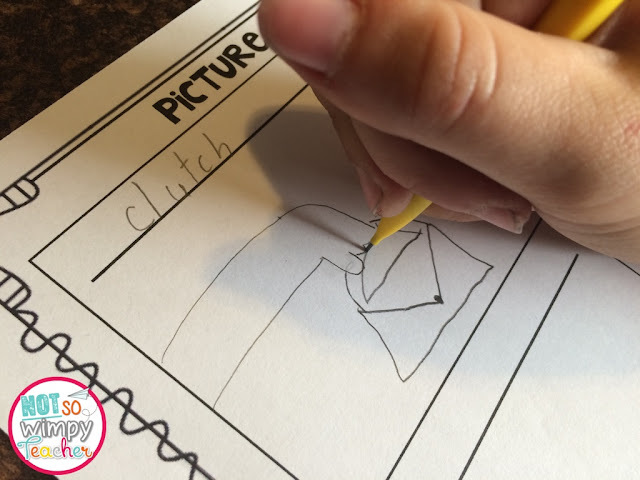 When the word was clutch- one of my students drew a hand holding a purse. The picture dictionary activity is one of my students' favorites. I do it whole group and point out great examples for the students who struggle with this modality. The same activity could be bell work or a center. I just advise that you wait to do the picture dictionary until students have a good grasp of the word meanings. You may also want to give a time limit or students will want to make elaborate drawings. 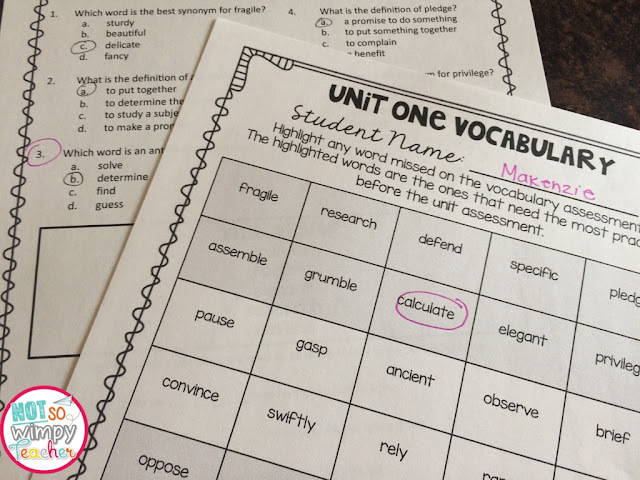 Vocabulary Social: This is such a fun and simple activity. I give each of my students a lanyard (you could also use safety pins, clothes pins or sticker paper) with one of our vocabulary words on it. I give them a minute to review their word in their vocabulary journal. They will pretend that they are the word and walk around the classroom introducing themselves to their classmates. The conversation might sound like, "Hi, I'm literal. One antonym for me is figurative." "Hi, literal. I am redundant. A good synonym for me is repetitive. Can you use yourself in a sentence?" The conversation will go on for a couple minutes as each student shares what they know. Then they will move on to talk to different students. This is a fantastic way to review before an assessment and it is a great way to practice all those speaking and listening skills! The kids like it because it is a little goofy! And that is ok, because we tend to remember things that make us laugh. I typically spend between 10-20 minutes on this activity. Game Board: Kids love to play games! 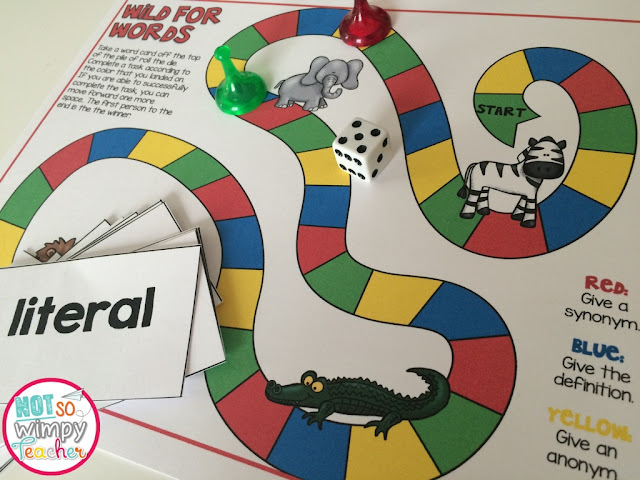 I have a vocabulary game board that I have printed and laminated. It works for any set of words. I add word cards to the board from our current list and some of the past words. The students work in groups of four. Students take turns getting a word card off the top of the pile. They roll a die and move their game piece. The color that their piece lands on tells them if they need to give the word definition, synonym, antonym or use it in a sentence. I do the game whole group so that I can walk around and listen in and offer any needed corrections. It could also be used in a center. This activity takes approximately 15-20 minutes. 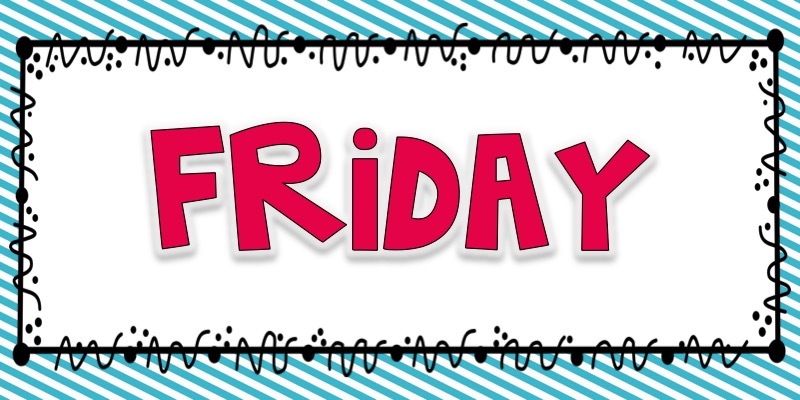 Class Game Show: This is certainly my students' favorite Friday activity! I like to use it as we get closer to the end of unit summative assessment. 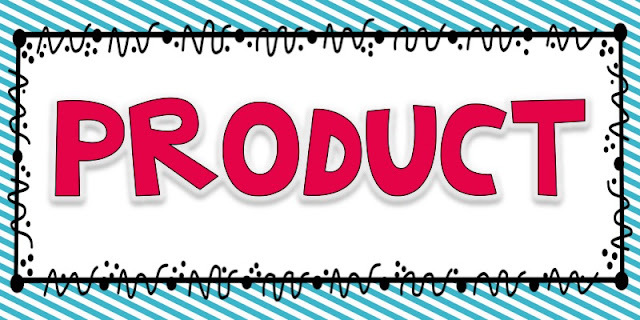 Give each student a 3x5 card (or scrap piece of paper) with one of the words from the unit. Students must write one question about their word. It can ask for a definition, synonym, antonym, use the word in a sentence or even part of speech. Students must also record the correct answer on their card. They give me the cards and then I split the class into 4 teams: cows, roosters, horses and dogs. I give them these animal names because we use THESE buzzers. They make the animal sounds! Teams stand in a single file line behind their buzzer. I will ask a question from the student generated questions. The first team to push their buzzer gets to answer. If they are right, their team gets a point. If they are incorrect, I will allow the other three teams to buzz for a chance to answer. Then those four players will go to the end of their team line and four new players move up to the buzzers. We continue like this until all the questions have been answered. The team with the most points is the winner. 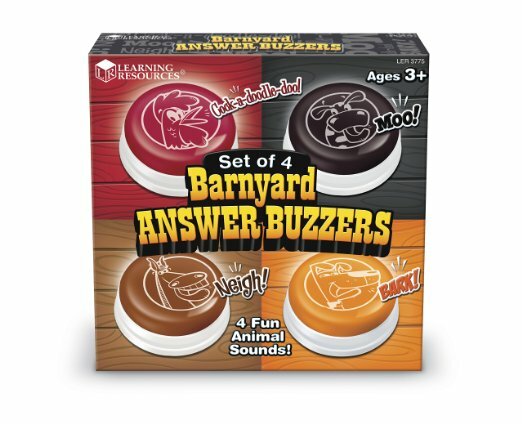 The kids love being competitive and they adore the buzzers! Of course, if you don't have buzzers, you can have each team have a sound they must make. It is still a blast! This activity take 30-45 minutes. 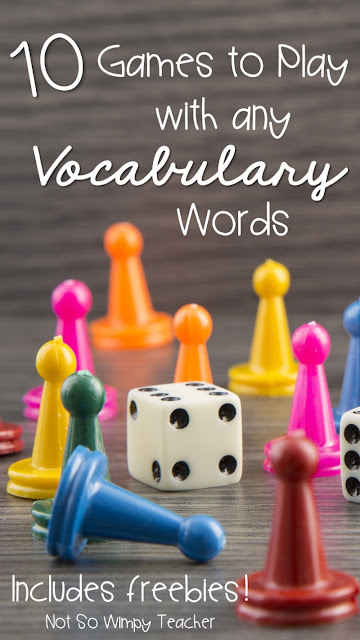 You can read about more fun vocabulary practice games by clicking on the post below. I am always informally assessing students as I listen to them during our daily vocabulary lessons. 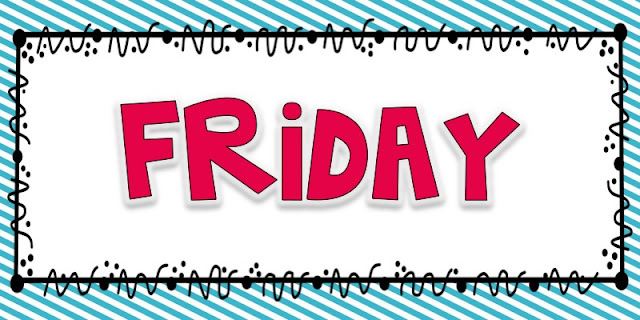 I formally assess students every other Friday. They are assessed on two weeks worth of words. I have found that testing over ten words, rather than just five, makes the assessment more meaningful and requires students to remember the words longer. Questions are multiple choice and fill in the blank. It makes it easy for me to grade and doesn't take long for students to complete. 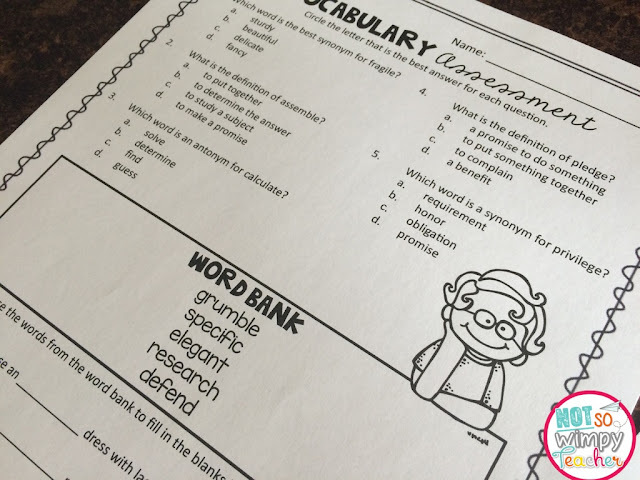 The questions ask about definitions, synonyms, antonyms and using the words in sentences. The varied skills still challenge my students. At the end of our unit, during the 9th week, we review all 40 of the words from the unit. At the end of the 9th week, students take a summative assessment. I want to be certain that my students are retaining all of this information and not just learning it for the week. 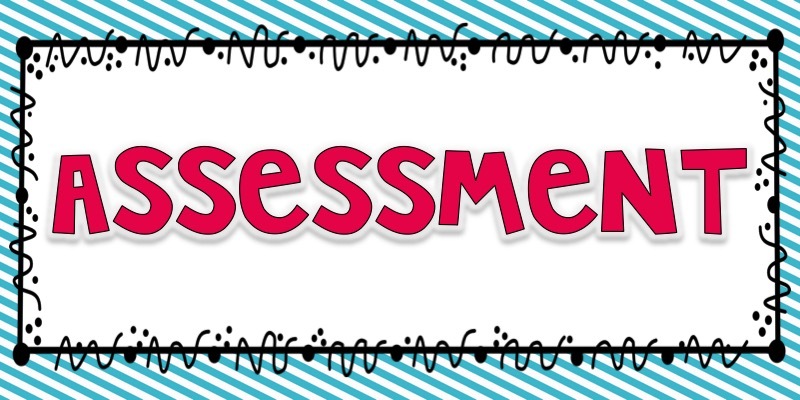 This same assessment can be used as a pretest at the beginning of the unit as well. It is challenging, but my students have been very successful! 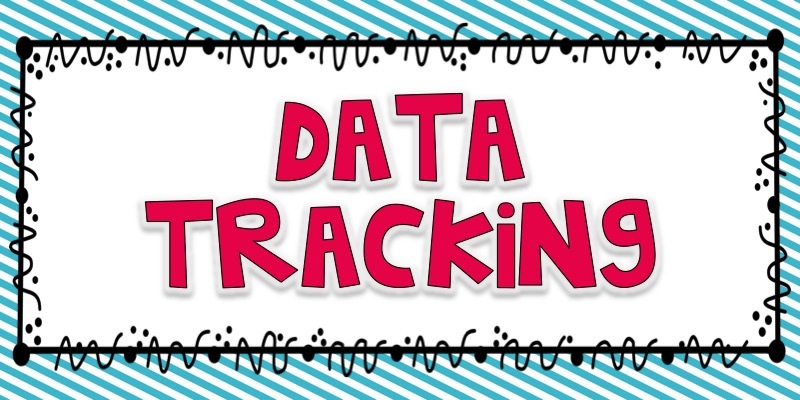 Throughout the course of our vocabulary unit, I think it is very important to track each student's progress. This helps me to decide what students need extra help or which word cards to use during the next game or social. 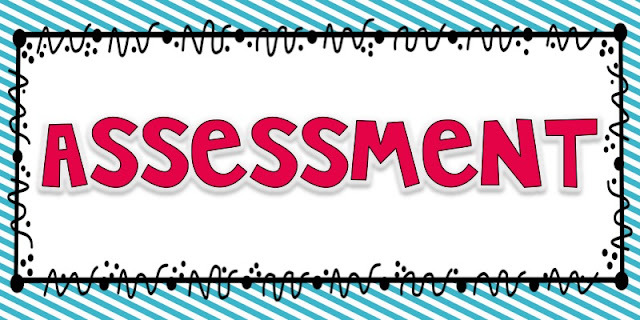 I can strategically give a student the word that they missed on their last assessment! I also want students to know which words they need more practice with. I make two copies of the data chart for each student. One page is used for the entire unit! I keep a chart for myself and ask students to keep a chart as well. As I am grading the bi-weekly assessments, I highlight any word that a student misses. This only takes a few minutes. I pass back the assessment to the students and quickly go over the correct answers. 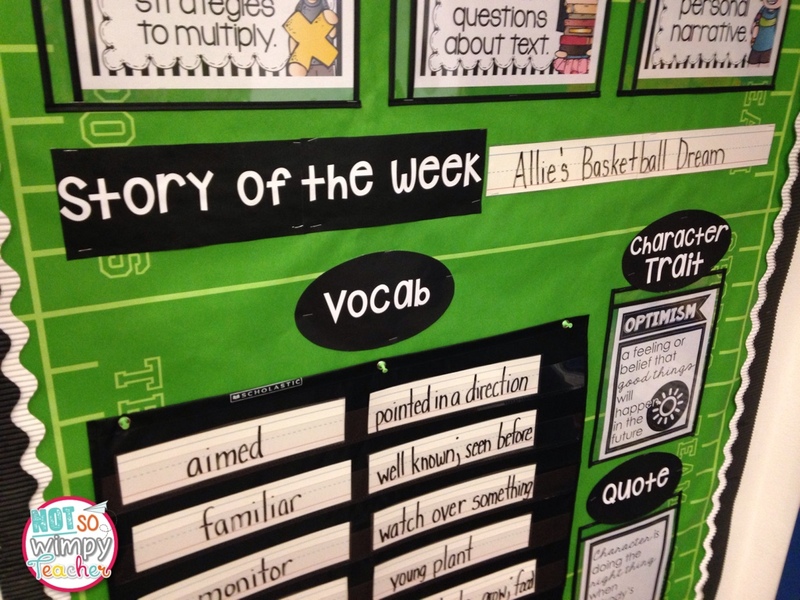 Students will then circle any missed words on their chart. A student who misses a lot of words on a regular basis, will receive flash cards and extra practice. A student who misses a couple words here and there is asked to review the missed words throughout the week using their journal. 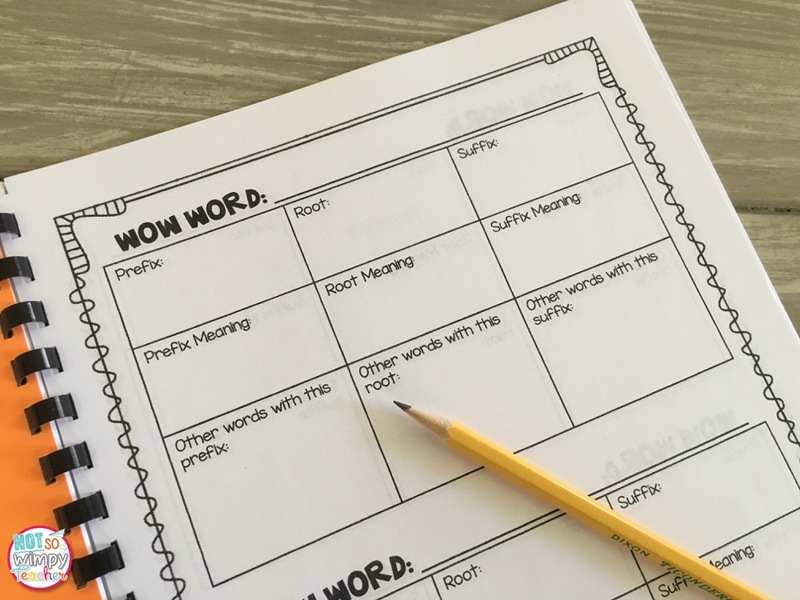 Students are generally missing more words at the start of the year and as we study words, I am noticing an improvement in our overall ability to learn new words. The chart helps students to see that they getting better! It can also be shown to parents during conferences. 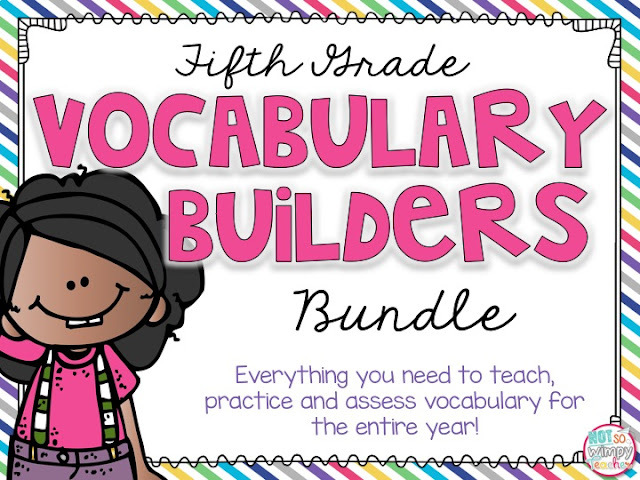 I have these materials available for 3rd, 4th and 5th grade. Just click on the picture to learn more.